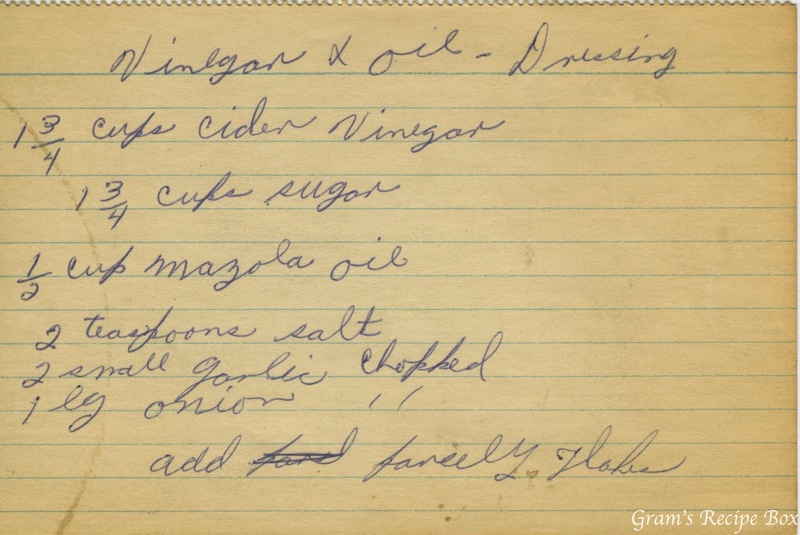 This basic recipe for a vinegar & oil salad dressing would be easy to make ahead and have ready to use when desired. I pre make all my salad dressing, especially a vinegar based type because the flavors blend over night and taste much more rich together. These days with good garlic powder and onion powder, you don’t even need to use the fresh garlic and onion as called for in this recipe. As you become familiar with the recipe, you can make changes as you desire, such as using red wine vinegar, balsamic vinegar, flavored oils, adding and subtracting herbs, etc. I’m a big fan of old fashioned recipes, and I also ALWAYS make my own dressing, bottled simply can’t compare. is this correct – almost 2 cups of sugar? Thanks for any feedback.